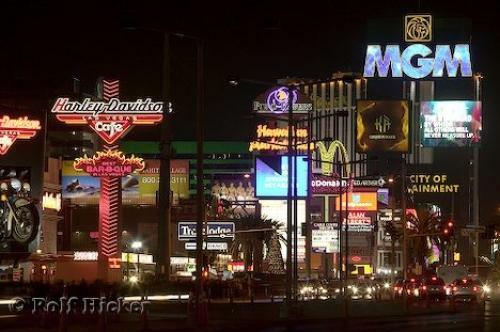 Large screens advertise the concerts screening along the Strip in Las Vegas, Nevada, USA. MGM Grand, Vegas Strip, Las Vegas, Nevada, USA, North America. various resorts in Las Vegas, Nevada, USA.